Learn to use scissors! Follow and cut along the dotted line with the easy squeeze scissors. Make fun crafts, learn how to cut circles, spirals, strips and more. 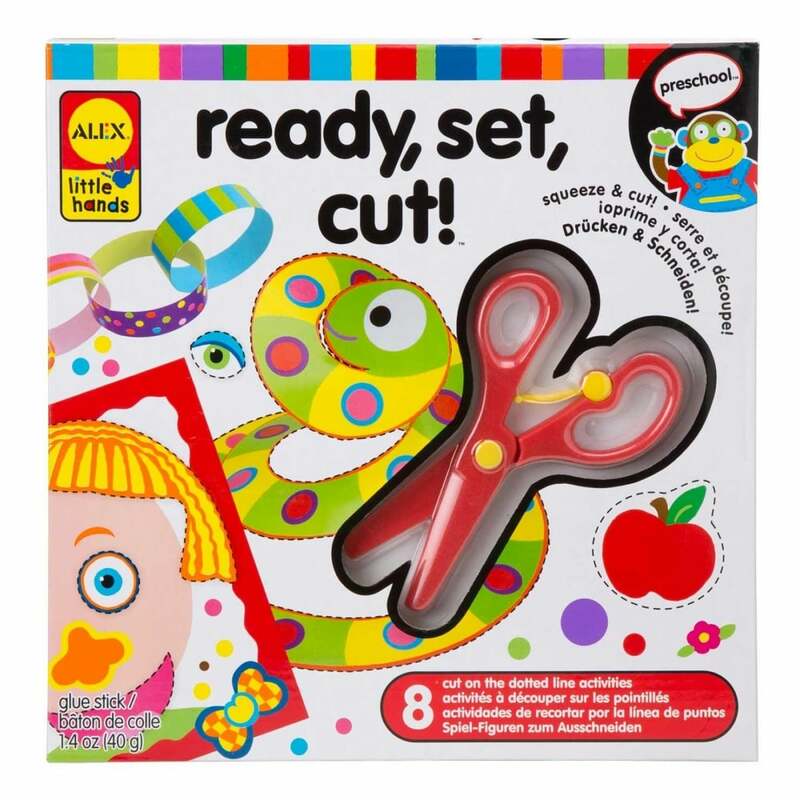 Great for young children learning how to use scissors. Included are 8 illustrated cutting activities, a practice sheet and over 300 stickers to decorate your shapes. Each project comes conveniently individually packaged, so you’re ready to begin when you open the kit! A bit about the brand: Alex Brands offers toys and games for children of all ages. Helping children become more active and develop their imagination and creativity skills. My 3 year old granddaughter loves these kits and gets good results with only a little help from grownups.